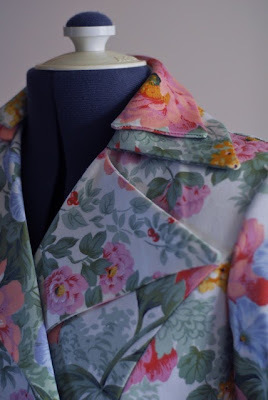 I'm regularly popping in at my favourite op-shop in town, to see what new bits of fabric off-cuts have been tossed out of someone's cupboard. You find such treasures sometimes! 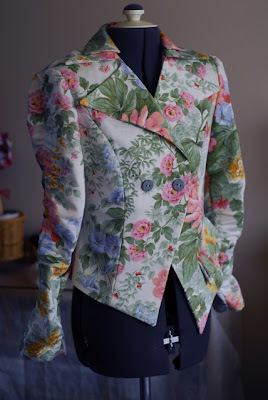 For $4.50 I picked up two pieces of quaint floral curtaining which became a jacket. I love this pattern from a Burda magazine (they are great value for money, btw fellow seamstresses), with its asymmetry, double-collar and wide lapels, and pocket with double-flaps. You make me jealous. 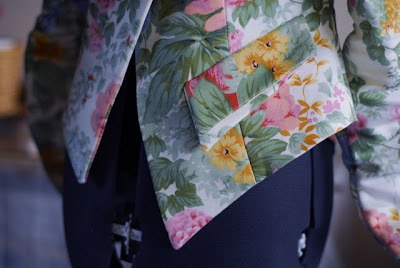 Such lovely results from your sewing.